While there was a sense of inevitability to the cancellation of Iron Fist, the canning of Luke Cage was much more upsetting. Making things worst was that the news was announced just a day after the premiere of Daredevil Season 3, which really soured the milk for fans of the Defenders-verse. Now Netflix are two whole superheroes down, and that's a lot of empty space. 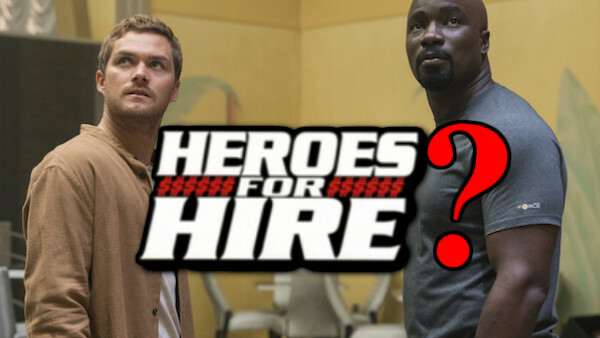 If there was one uniting factor of Iron Fist Season 2 and Luke Cage Season 2, it was that they both ended on pivotal cliffhangers. And because of these cancellations, Danny Rand will forever be firing golden bullets and Luke Cage will be forever glaring evilly atop a balcony. It just wasn't supposed to end this way. But maybe all hope is not lost. Consider this the fantasy list of things that could transpire if the public outcry was so wide, that the TV execs gave this dusted half of The Defenders one last shot. We can dream. We can hope. We can show our support and throw some ideas at the wall, if just to make ourselves feel happy once again.